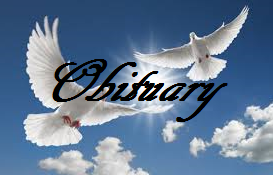 A Kansas City resident, Lucinda Early James, 88 died Sunday Nov. 4. Services will be held at 5 p.m. on Thursday, Nov. 8 at Thurman Funeral Home in Richmond. Visitation is scheduled one hour prior to services. Inurnment will be at a later date at Mormon Hill Cemetery in on the San Carlos Apache Reservation in Arizona.